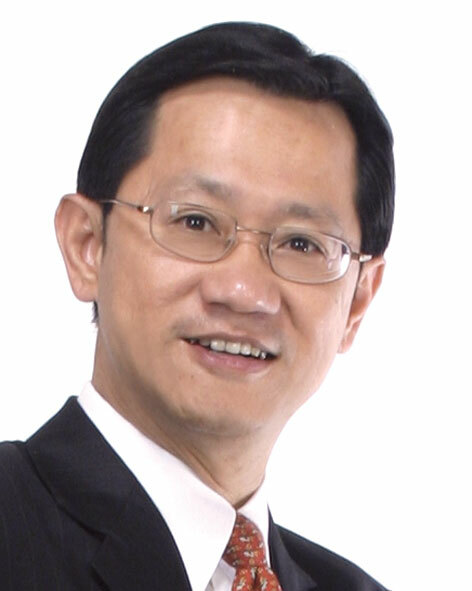 Dr. Patrick Liew MBA, MSc, BSc is the Managing Partner of Global Enterprise Exchange. He is also a founder of Success Resources, arguably the largest seminar organiser in the world and a major shareholder of a company which is listed on the Australia Stock Exchange. Patrick has also established an e-learning company which was rated by Deloitte and Touche as the 11th fastest growing tech company. Previously, he was the Executive Chairman and CEO of a publicly-listed company on SGX-ST. He has also held the regional director position at the Gartner Group, providing strategic advisory and planning services to governments, banks and MNCs. He was also the regional head of sales and marketing operation for Dow Jones Telerate. Patrick earned a doctorate degree from the University of Southern California and his dissertation revolves around financial literacy / intelligence. He also graduated with a BSc in Estate Management from Heriot Watt University, an MSc with emphasis in global business and marketing from The City University of New York, and an MBA from Henley Business School / Brunel University. Patrick is arguably the first person to develop a multimedia e-learning programme on entrepreneurship. He authored a Chinese book on business systems and was also the co-author of a Times Bookshop best-selling book. Patrick has conducted both ‘brick and mortar’ and online lessons for participants from more than 60 countries. He has also conducted keynote presentations in many international conferences. Through his team at Success Resources, Patrick has organised conventions for prominent leaders such as Bill Clinton, Tony Blair, Michael Porter, Richard Branson, Anthony Robbins, Robert Kiyosaki, T. Harv Eker, and many others. Patrick provides leadership and advisory services to many professional and charity organisations. He is actively involved in supporting humanitarian, philanthropic and charity causes. He has helped to organise many social missions and in the process, helped to set four records in the Singapore Books of Records and a record in the Guinness World Records. Patrick won the Entrepreneur of the Year Award For Social Contribution, the Asia Pacific Entrepreneurship Award, the Global Leader Award and five other business awards. The articles that I post online; or what I term as Love Notes, are written with the purpose of inspiring readers to live at a higher plane in life. They are also meant to motivate those who are struggling in life and help them find handlers to overcome their conflicts and challenges. It is my ardent hope that we will form networks and alliances of like-minded people who will put to right many of the wrongs in our midst. Together, we will leverage on each other’s resources and create a synergistic impact in making our world a better home. These articles are written as part of my regular reflection about the vicissitudes of life. They are at best work in progress and at worst, grumblings, grouses, and griping of a finite old man. I have deliberately decided NOT to delete many of the articles and pointers that I may not agree with or are outrightly wrong. This is to keep a record of how my personal ideas, beliefs, and values have evolved over time. In addition, I hope to encourage readers by letting them know that I also make mistakes and am struggling with many of the complexity and complication in life. As long as we hang on to hope and work on finding a solution, there will be light at the end of whatever tunnel we are in. I do not pretend to know everything or for that matter, anything of substance. In fact, the more I study, learn, and think about the vast wisdom and knowledge out there, the more I realise how little I know about life and the ways of life. Hence, I have always ended my article by asking readers to continue to teach me. For I, too, am a sojourner in the exploration of truth and the adventure of finding meaning, purpose, and significance for my existence. I am proud of and make no apology for being a Christian, albeit not the most exemplary one. I believe our Creator can lead and guide us to be the best that we can ever be. I bear full responsibility for the shortcoming and error in my life, including my words. The fault is entirely mine and not due to anyone else. Readers have and can exercise the power of choice. They can discard what will not work for them and adopt those that can propel them further and faster in the pursuit of better performance, outcome, and fulfillment. If I have disappointed or hurt you in any way, form, or manner, I would like to apologise to you. Please do not hold them against me or whoever or whatever is related to me. There are much to pray about, learn, and do. And I’ll work on them with a sense of urgency. I hold on to the belief that ‘Anything worth doing is worth doing with passion and excellence’. I’ll endeavour to live by it. Life is short. There’s no dress rehearsal and neither can we turn back the clock to change the drama of life. Therefore, by the grace and power of our Creator, let’s live a full life and live it to the fullest. The best way to live our life is to live our life for others. When we invest in human lives, we live the best life. The more we reach out to bless other lives, the richer and better our life will become. May God bless you abundantly on the journey of life. Please read my reflection and continue to teach me. Warning – any person and/or institution and/or Agent and/or Agency of any governmental structure including but not limited to the United States Federal Government also using or monitoring/using this website or any of its associated websites, you do NOT have my permission to utilize any of my site’s information nor any of the content contained herein including, but not limited to my notes, posts, comments, status updates, photos, and/or the comments made about my photos or any other “picture” art posted on my profile. You are hereby notified that you are strictly prohibited from disclosing, copying, distributing, disseminating, or taking any other action against me with regard to this site and the contents herein. The foregoing prohibitions also apply to your employees, agents, students or any personnel under your direction or control. The contents of this site are private and legally privileged and confidential information, and the violation of my personal privacy is punishable by law.